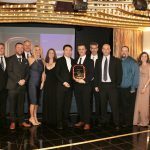 Trucking in construction can be wrought with problems including fraud by the truckers, difficulty matching invoices with truck papers and delays in sending relevant paperwork to accounting. 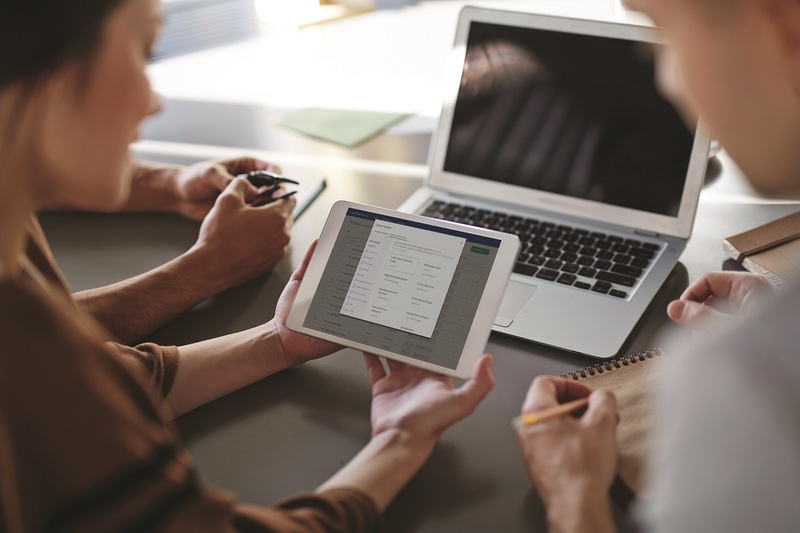 Here is how one construction company uses Laserfiche Mobile to accept trucking deliveries quickly and accurately while creating real-time reports for the project manager. When performing construction at a site such as an airport or highway, large quantities of materials must be delivered by truck. Supply companies are contracted to deliver certain quantities of materials each day, usually split into multiple deliveries. The truckers and the supply companies get paid on delivery of the materials, but confirming the right deliveries, quantities, and timeliness, is left to the construction company and its project managers. Having a real-time accounting process in-place makes sure verification and then payment can be done quickly and correctly. A truck arrives at the construction site and checks in with the shift manager before unloading the material. 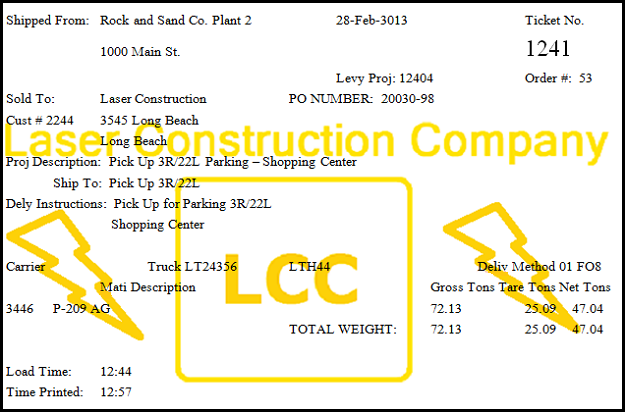 The shift manager takes photos of the truck and the truck papers with his iPhone and immediately sends them to Laserfiche with the Laserfiche Mobile app. The uploaded photo, associated timestamp and GPS data are proof that that particular truck was at that construction site at that time. GPS data is configured on the server-side so that it cannot be manipulated. 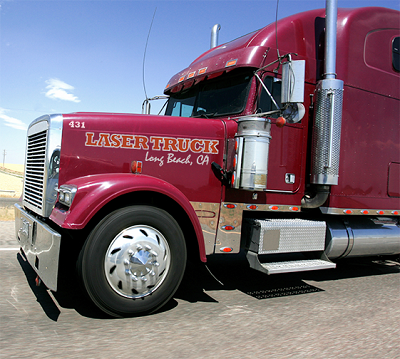 Back at the office, the accounting assistant opens the photographs of truck papers in Laserfiche. 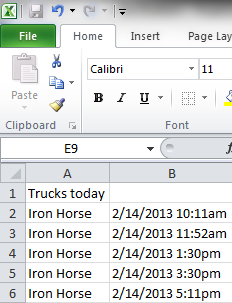 He inputs other pieces of data needed for tracking deliveries into the document’s template fields. 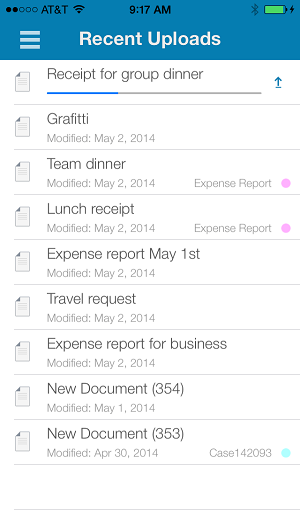 The accounting assistant also prepares invoices and other accounting documents. 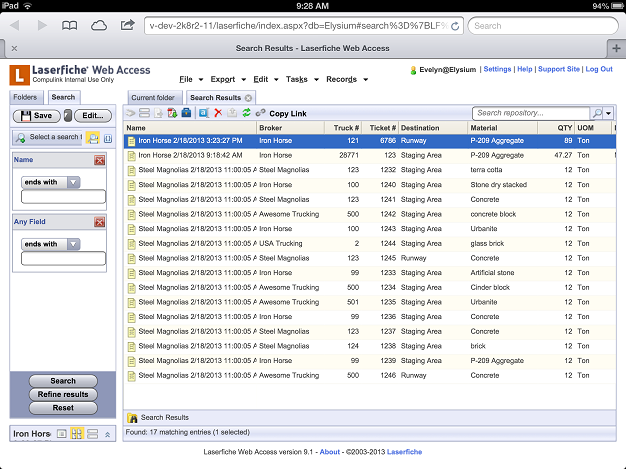 Several times a day, the accounting assistant searches for relevant documents in Laserfiche. 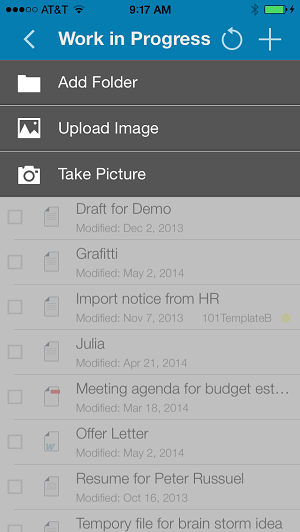 A saved column view allows the accounting assistant to view all of the identifying information about each photo. The number of trucks from each company that have arrived at the construction site that day. The number of rounds that each truck has made during the shift. The shift manager checks this spreadsheet before approving payment on the delivery slips that the drivers present to him at the end of the shift. The project manager uses these reports to make sure that the right amount of goods is delivered each day to guarantee that the project will be completed on time. Implementing Laserfiche Mobile at the construction company has resulted in the following benefits. Multiple images can be quickly sent over to Laserfiche due to the Laserfiche Mobile for iPhone app’s application-side photo compression. Delivery fraud is prevented because the shift manager can easily prove how many times a particular truck arrived during a particular shift. 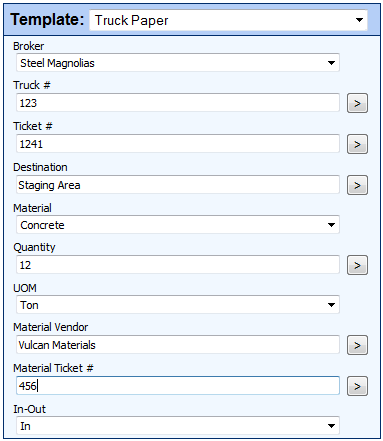 Real-time accounting results in the construction company being billed the correct amount each time for materials.